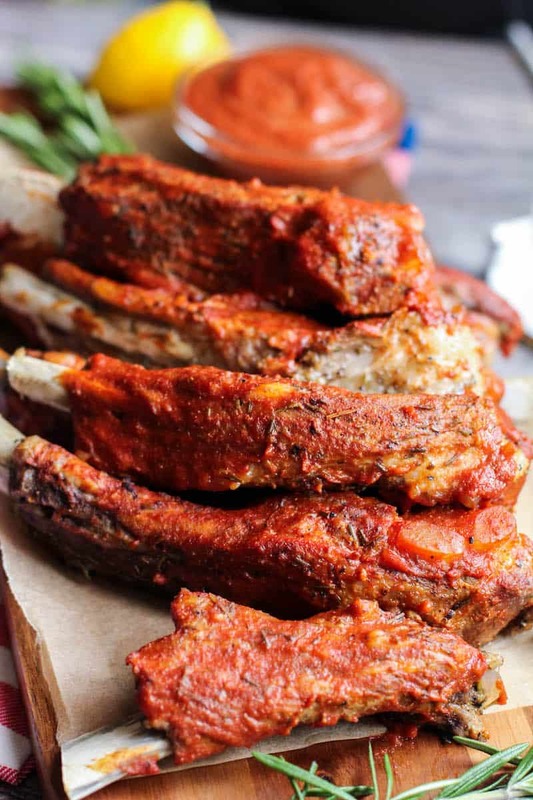 I just made the most amazing Keto Ribs in my Instant Pot! 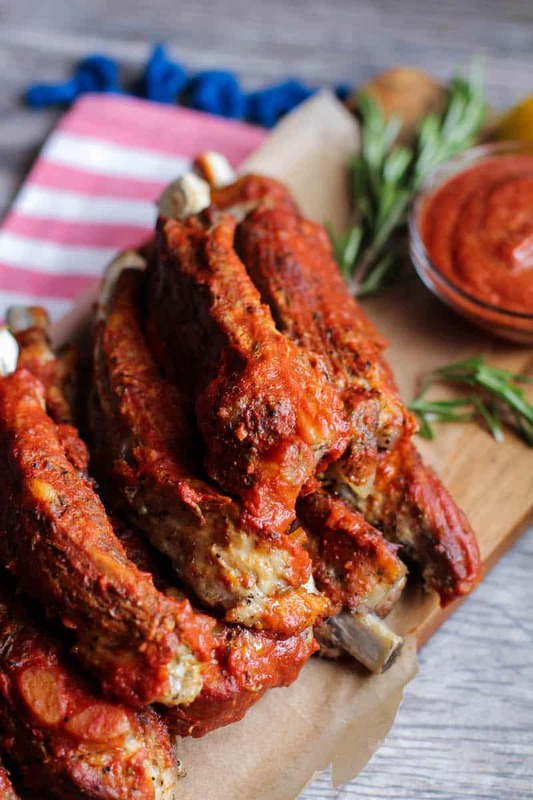 Guys, once you try this recipe, I promise you will want to make them like these all the time! It's super easy but loaded with flavor. I almost feel as though this is a super fast hack to the 3 2 1 Ribs Method. 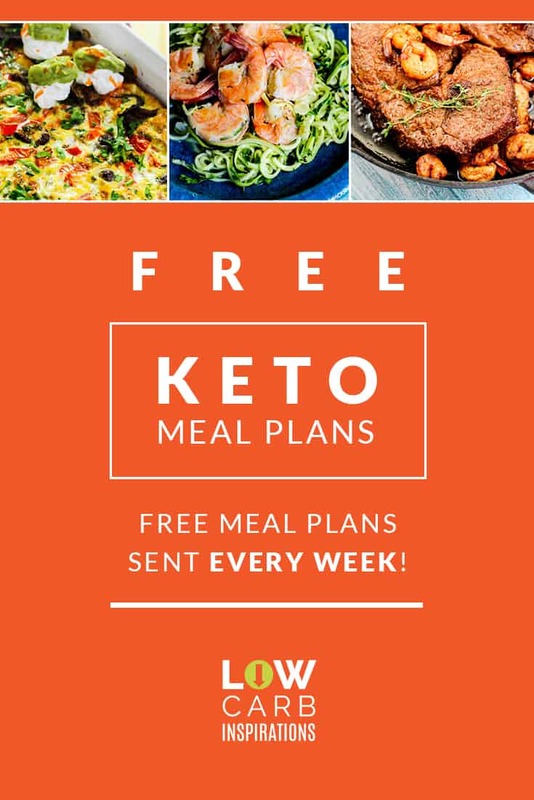 Have you heard of that method before? 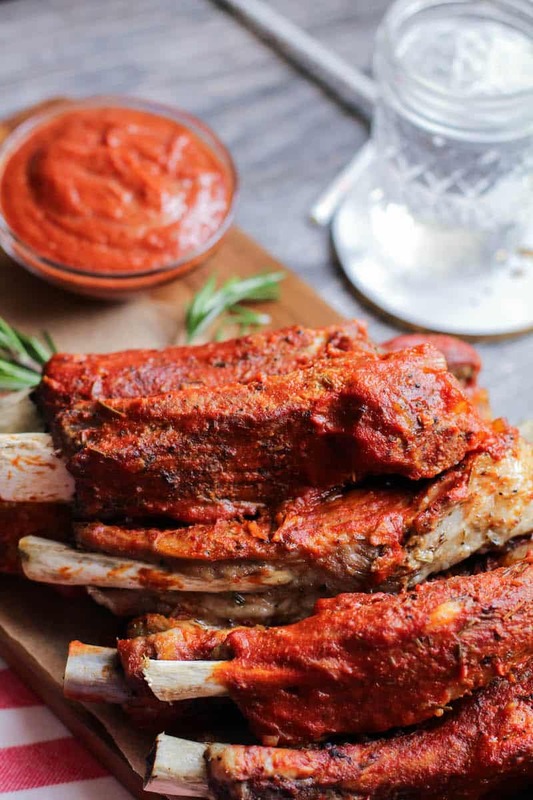 Basically, you smoke the ribs for 3 hours, then wrap the ribs in liquid for 2 hours, and finally, place the ribs in a sauce for the last hour. 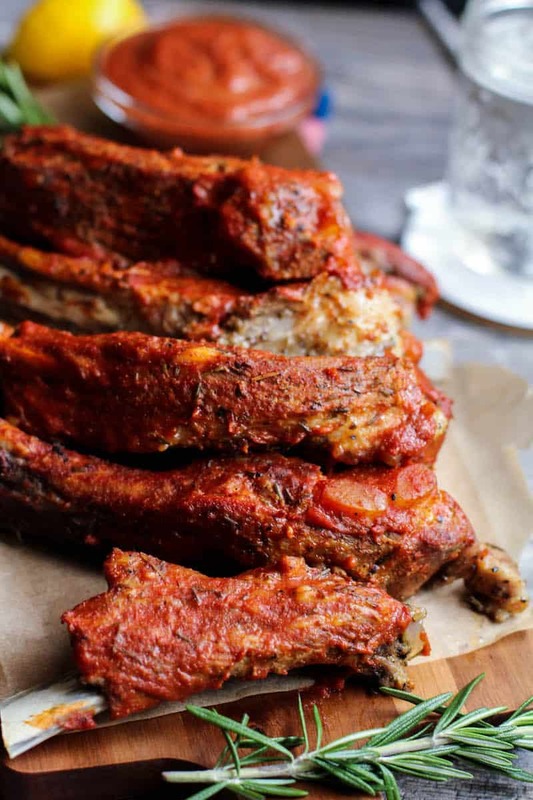 That's the 3 2 1 Ribs Method simplified. 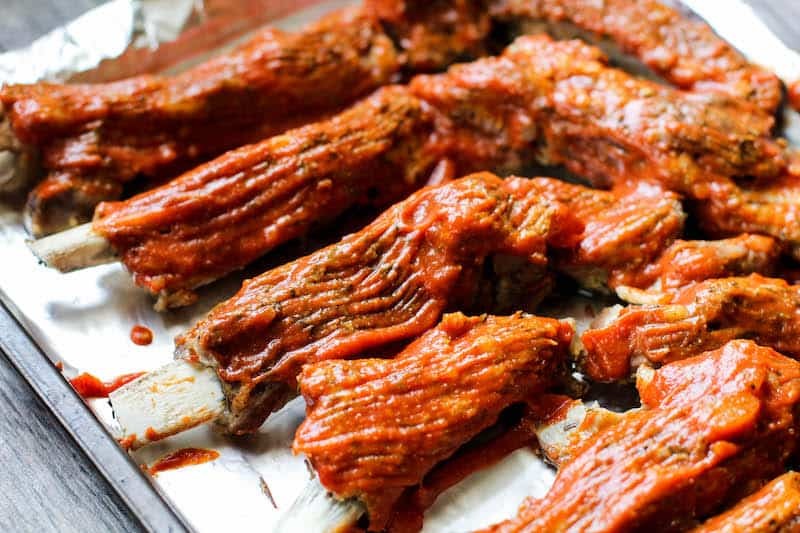 It's a wonderful rib cooking method but takes tons of time to do. 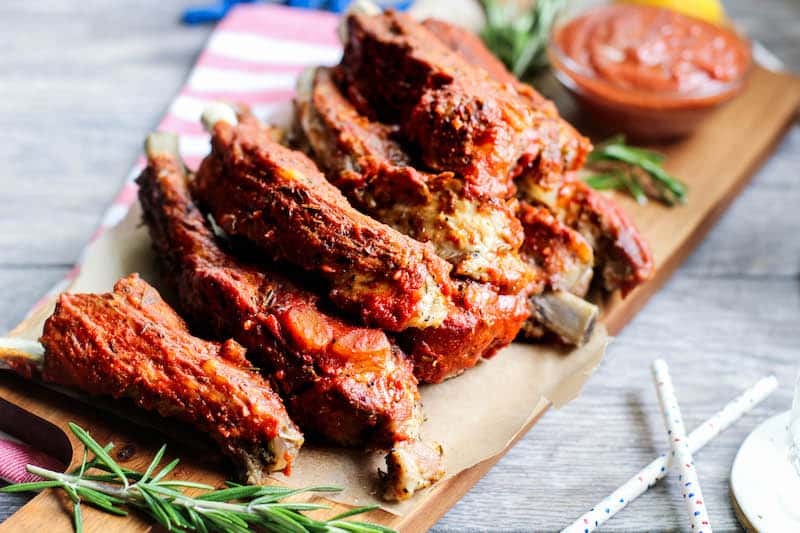 They do come out super delicious but when I need easy, I will make these BBQ Keto Ribs made in the Instant Pot Pressure Cooker! 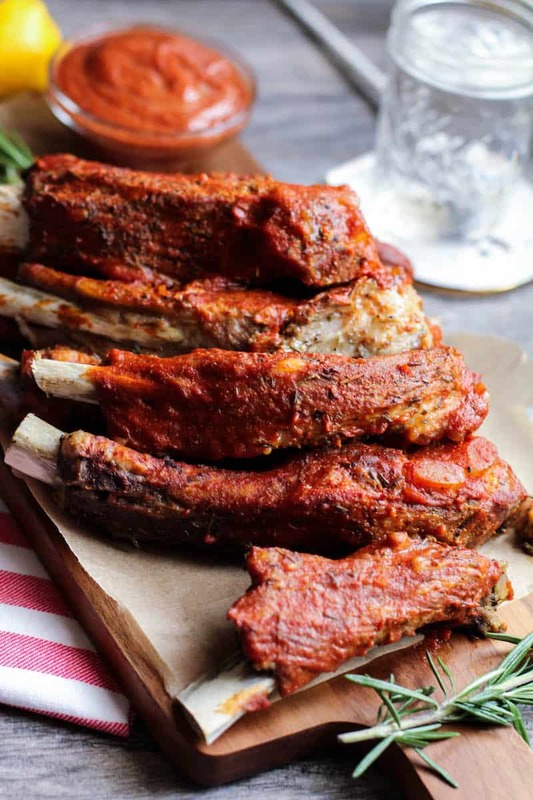 Another thing to note in this keto ribs recipe is the flavor! 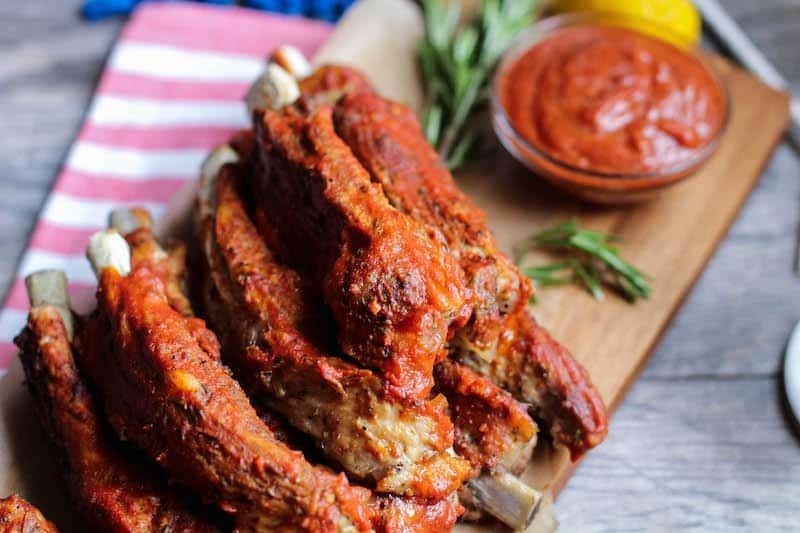 These keto ribs have a wonderful intense savory flavor! 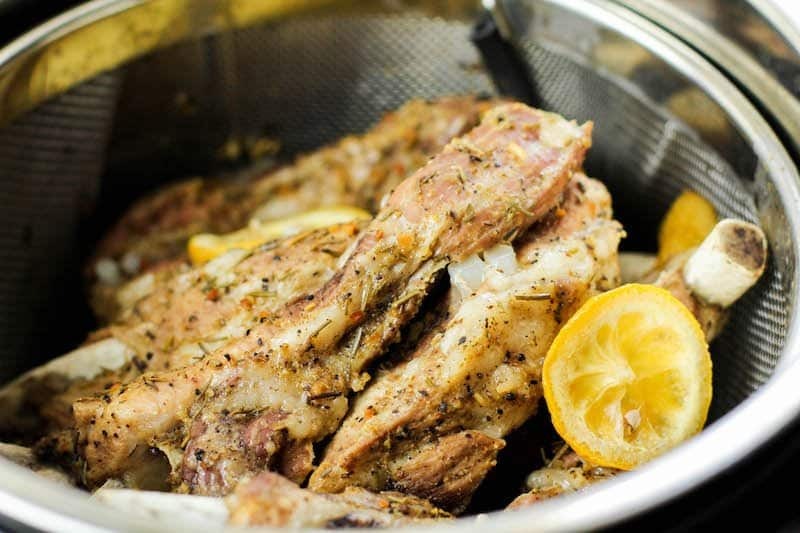 Sometimes when you cook ribs in a pressure cooker, the liquids can easily steam off the seasonings. 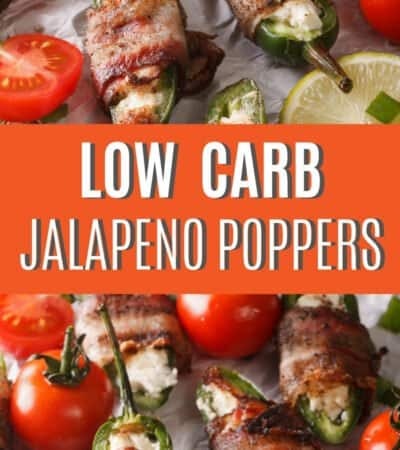 We nailed this recipe technique to keep these fibs full of flavor! 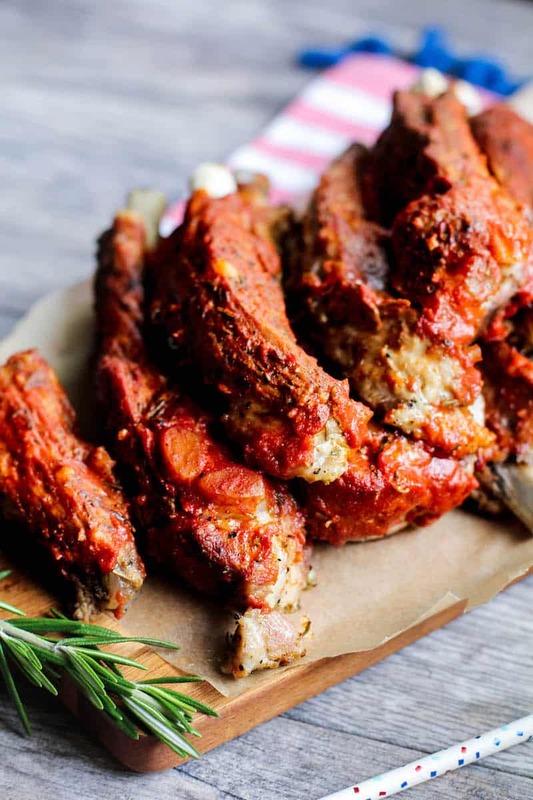 In a large bowl, season ribs with rosemary and lemon pepper seasoning. 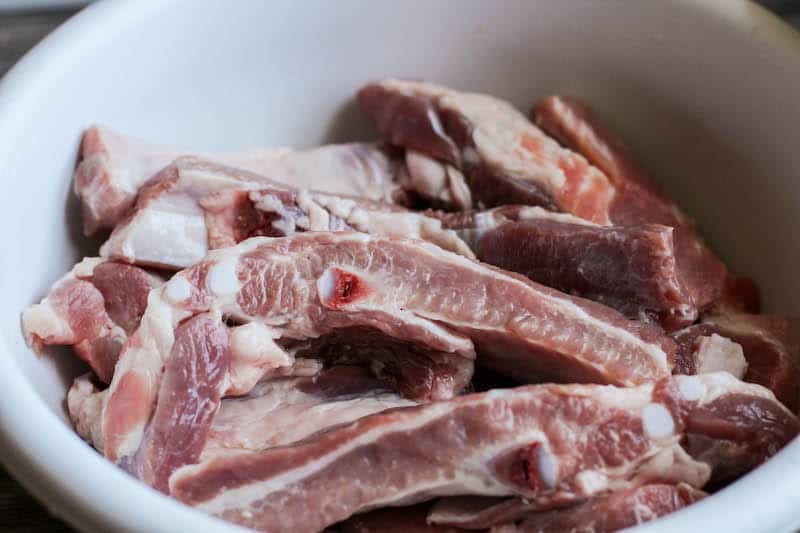 Add ribs to an insert basket into the Instant Pot, and a cup of water. 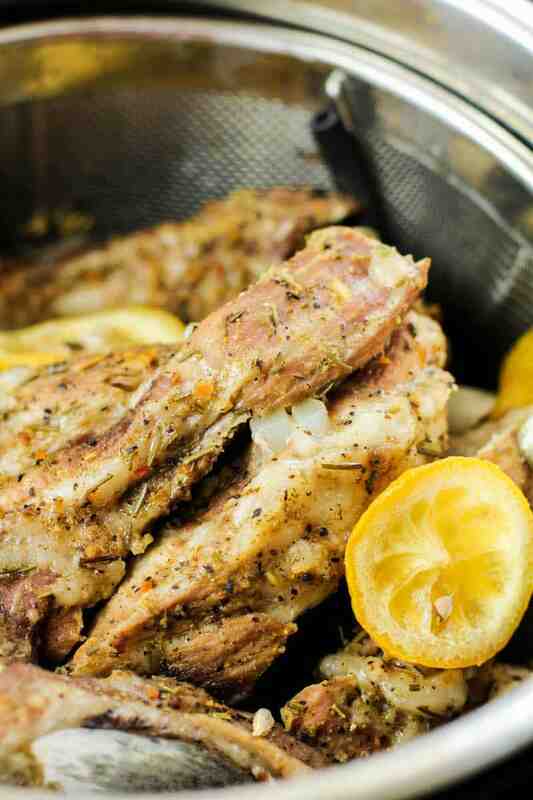 Top ribs with sliced lemons. Add lid and put to sealing. 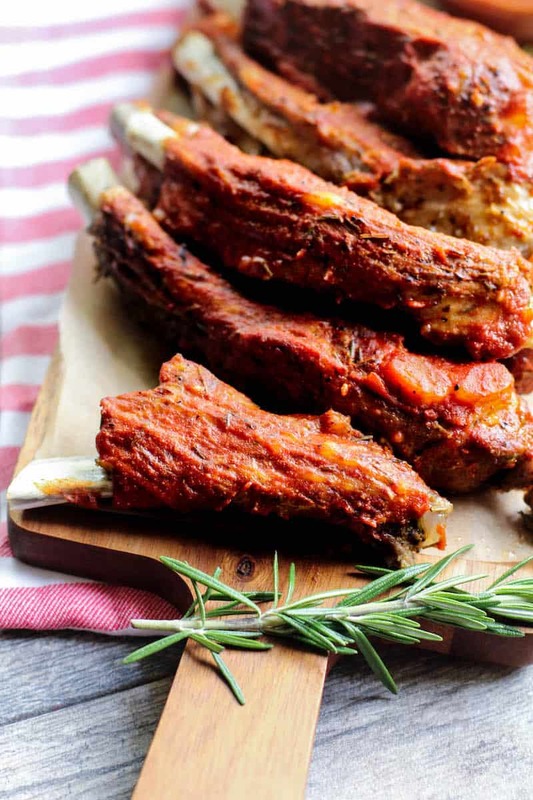 On high pressure, cook ribs for 32 minutes, then natural release. 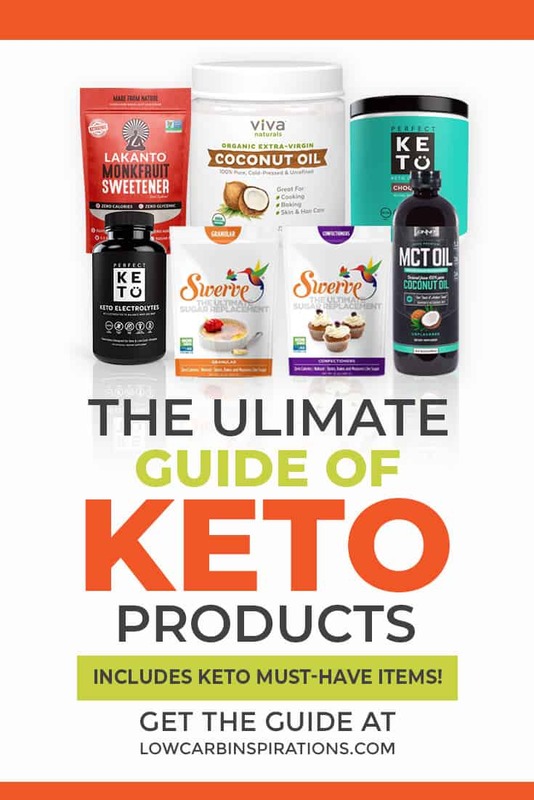 To make the Keto BBQ sauce: In a small pan over medium-high heat, add in Keto sugar substitute, apple cider vinegar, water, rosemary sprig, and lemon zest. Bring to a gentle boil and allow to cook for 10 minutes. Next, add in the remaining ingredients and whisk together. 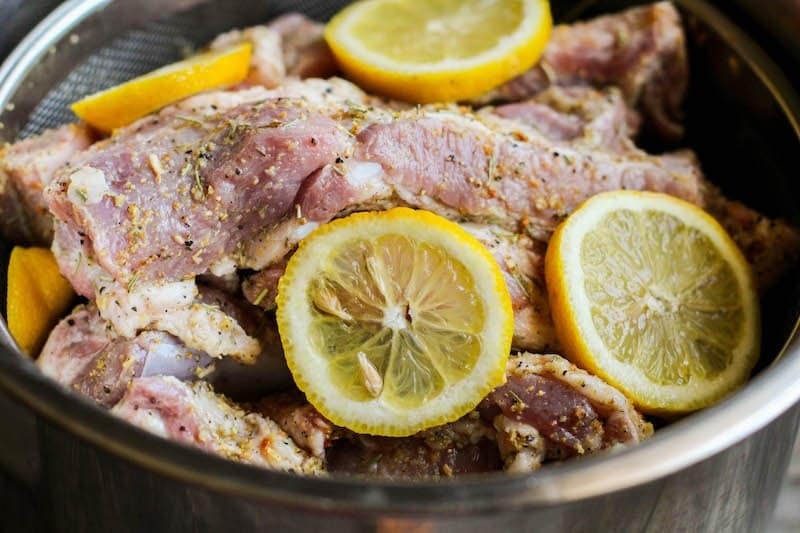 Cook on low for 5 minutes, so all of the flavors can infuse together. Discard rosemary. 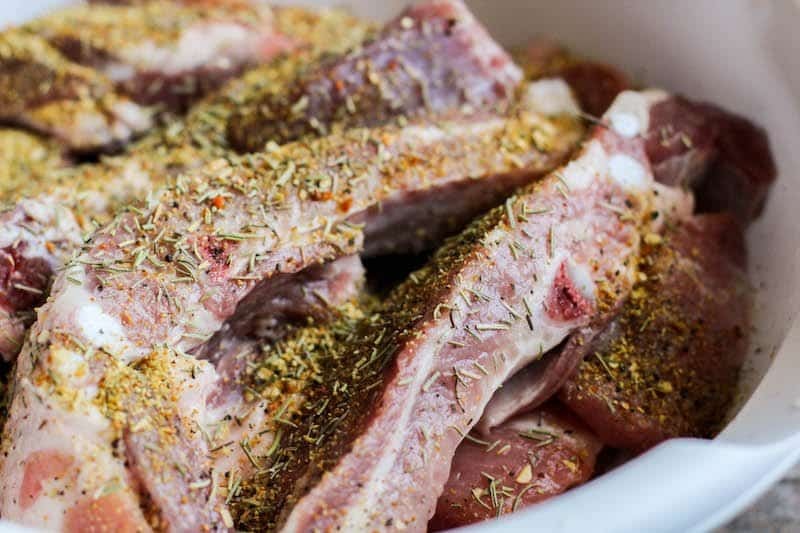 Once ribs are cooked, place in a foil lined baking pan. 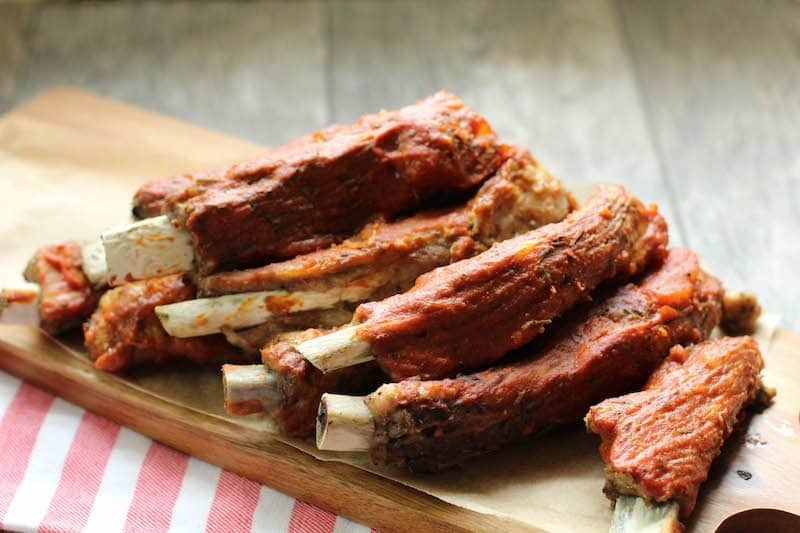 Brush ribs generously with BBQ sauce and place in oven under the broiler for 2-3 minutes. Serve warm and enjoy. 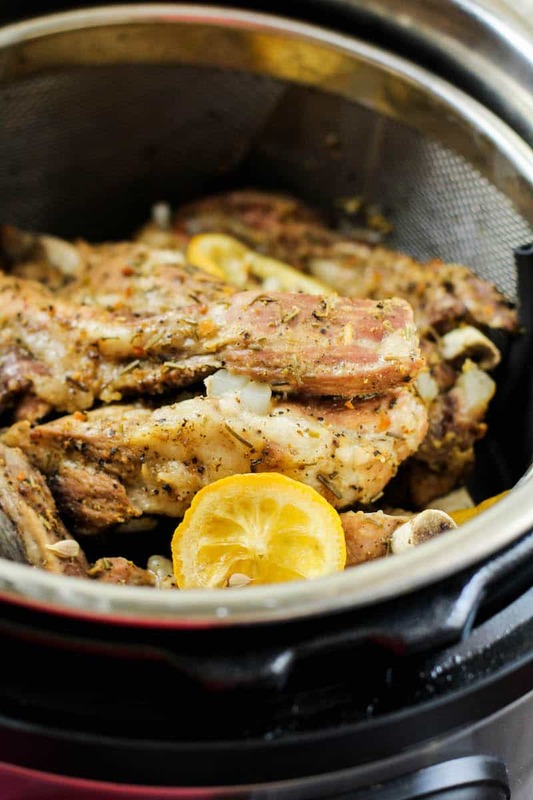 I use a 6 quart Instant Pot. It's the perfect size for my family of four. 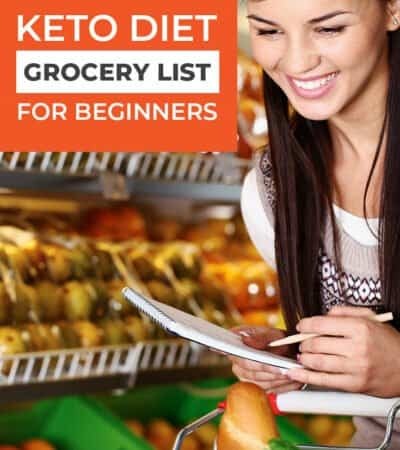 The printable version of this recipe is at the very bottom of this post. 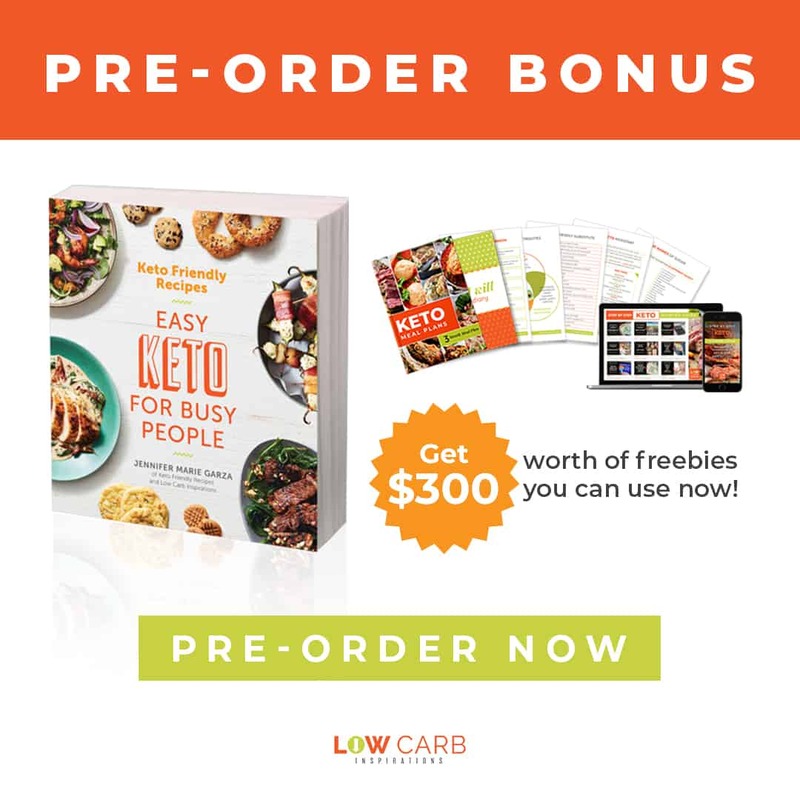 Print it off to add it to your recipe book! 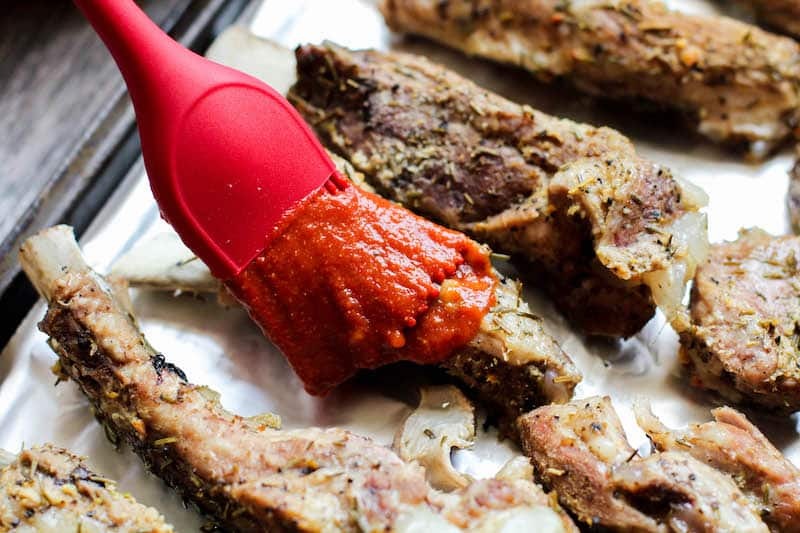 Here are a few photos we took while making these delicious Keto Ribs! 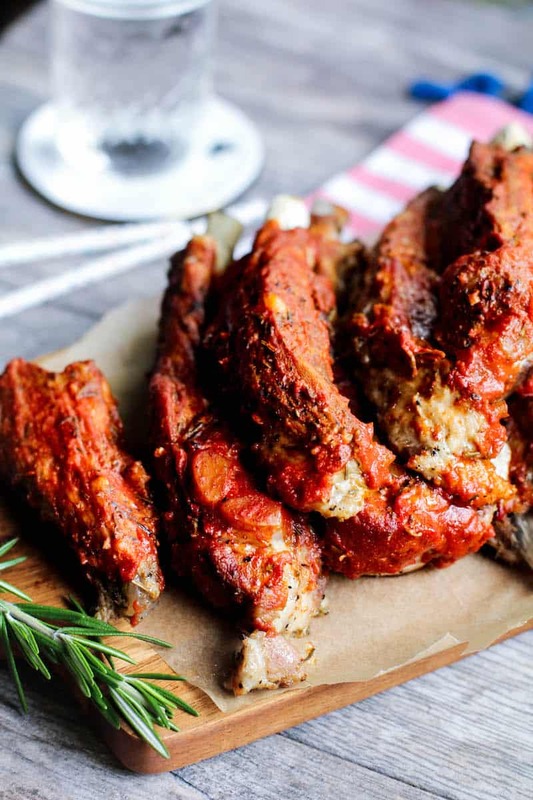 TIP: Use your favorite cut of ribs either pork or beef! 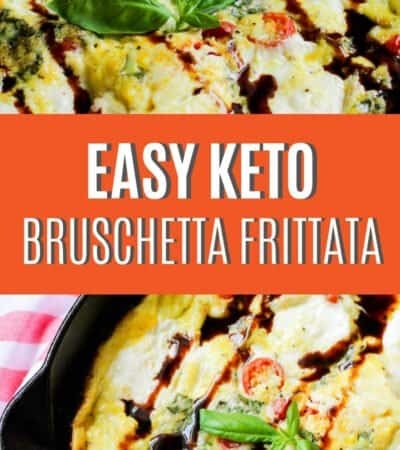 Both work well in this recipe! 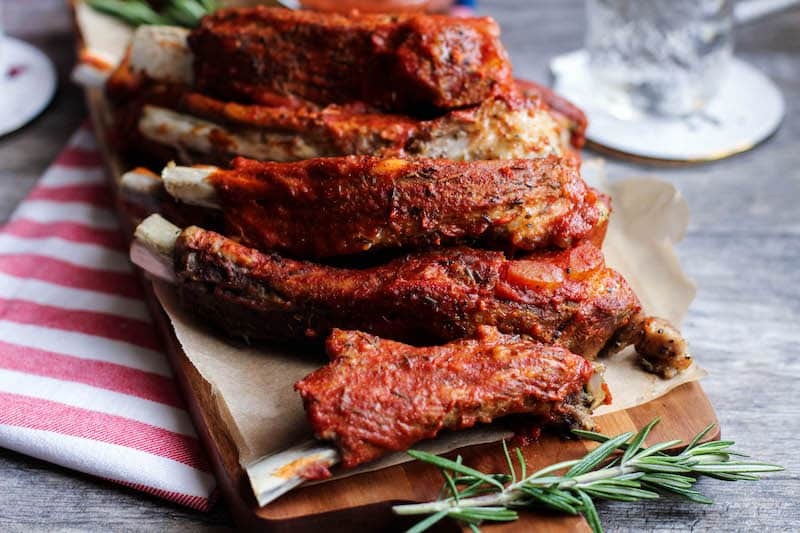 I just made the most amazing Keto Ribs in my Instant Pot! 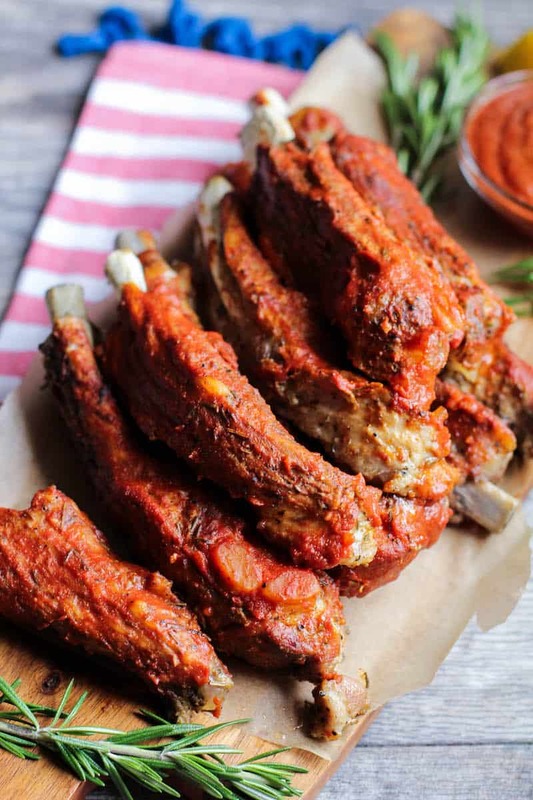 Guys, once you try this recipe, I promise you will want to make them like these all the time! It's super easy but loaded with flavor. I almost feel as though this is a super fast hack to the 3 2 1 Ribs Method. 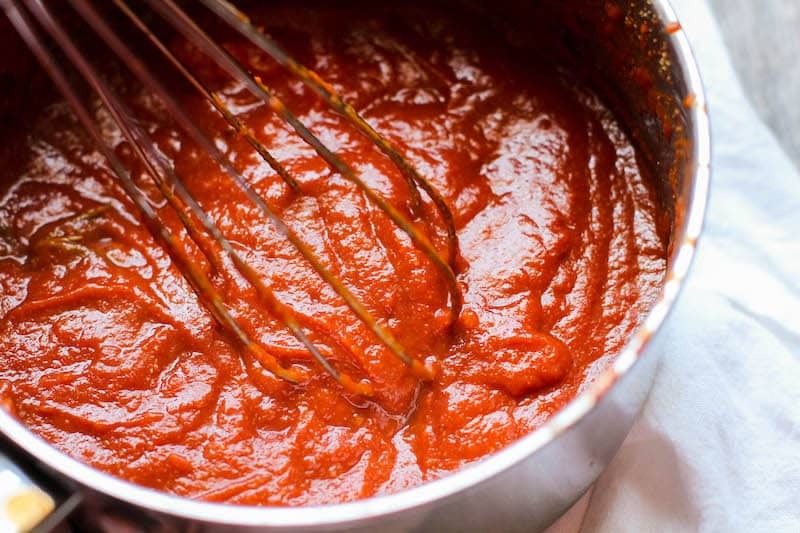 To make the Keto BBQ sauce. 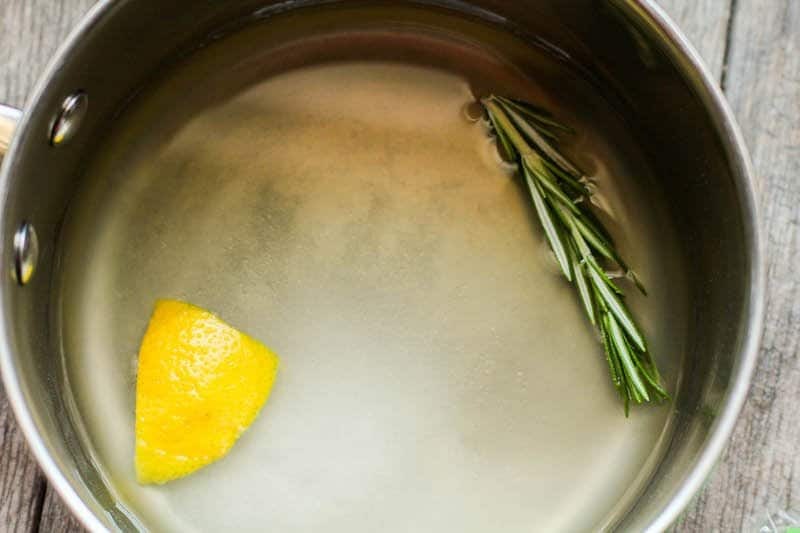 In a small pan over medium-high heat, add in sugar substitute, apple cider vinegar, water, rosemary sprig, and lemon zest. Bring to a gentle boil and allow to cook for 10 minutes. Next, add in the remaining ingredients and whisk together. 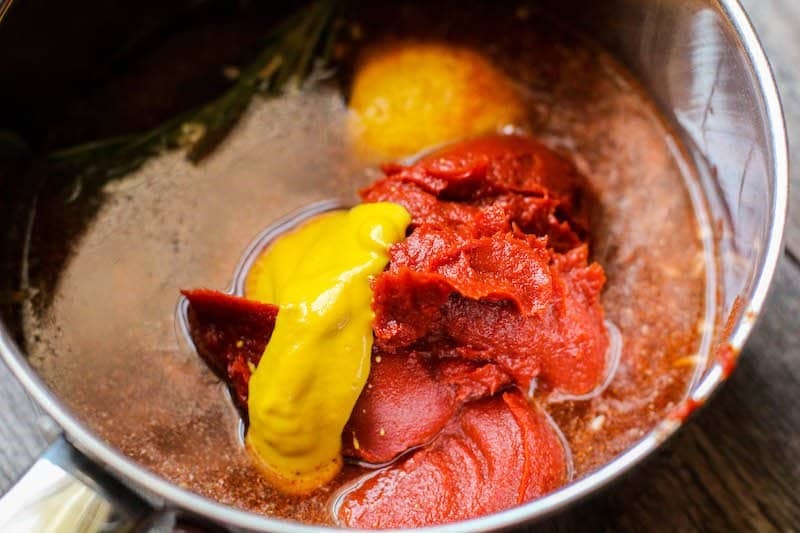 Cook on low for 5 minutes, so all of the flavors can infuse together. Discard rosemary.